The University of Texas at Austin, or UT Austin, is the flagship university in the University of Texas System. This state research university was founded in 1883. The 1,400-acre campus is about 1/4 mile away from the State Capitol in Austin, Texas. With more than 50,000 students and more than 3,100 faculty members, the university is one of the largest in the nation, in terms of student enrollment. The University of Texas at Austin was inaugurated into the American Association of Universities in 1929. It was also named one of the original eight Public Ivy Institutions. UT Austin is a major academic research center and receives the second most federal research grants among American universities lacking a medical school. A majority of the university’s research is focused on physical sciences and engineering. Although it does not have a medical school, UT Austin does an extensive amount of research in this field each year in cooperation with the medical programs it houses for other campuses. The university operates several auxiliary research facilities like the McDonald Observatory and the J.J. Pickle Research Campus. Faculty members have been awarded the Pulitzer Prize, the Nobel Prize, the Wolf Prize, the National Medal of Science, and many other awards. 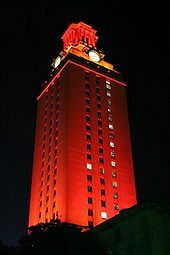 The University of Texas at Austin is not only an academic and research powerhouse, it is also well-known for its outstanding Division I athletic programs. Nicknamed the Longhorns, UT Austin is best known for its football program, which has won four national championships. tIn addition, its baseball, basketball, swimming, and diving teams have all gained national prominence in recent years. Among all sports, the Longhorns have won at least 53 national championships. Current and former UT Austin students have earned 130 Olympic medals. Students attending UT Austin are greeted by a large number of opportunities to become involved in the campus community. More than 1,300 student organizations are recognized by the university, including three student government bodies responsible for representing the needs and views of students to administration and faculty. There are also over 70 fraternities and sororities and hundreds of intramural and club sports teams. One student organization, the Livestrong Foundation, sponsors the Texas 4000, which is the longest bike ride for charity in the world – from Austin, TX to Anchorage, AK – and with the help of over 600 student riders, has raised more than $7.2 million for cancer research. A variety of intramural sports programs are offered to UT Austin students who are some of the most active participants in the country in these sports. Students more interested in cultural entertainment have at their disposal a performing arts center that puts on annual dance performances, and a concert hall concerts, and plays. Four museums are located throughout UT Austin’s campus, giving students the opportunity to peruse fine art and historical items, including one of the five remaining complete Gutenberg Bibles. In addition to these activities, the university hosts dances, movies, and non-credit lectures throughout the year. 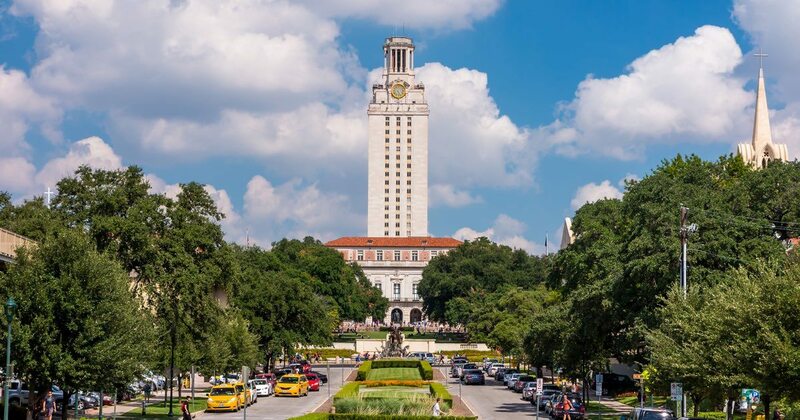 The University of Texas at Austin is considered a “more selective” institution, with approximately 48.5 in-state students accepted, and 25.9 percent out-of-state. The average ACT composite score among accepted students is 28, while the average SAT score is 1858. Students wishing to be accepted to one of UT Austin’s schools, such as the School of Engineering, are required to meet additional criteria for admission. With a nearly unparalleled learning and research environment, the University of Texas at Austin is committed to providing the best educational experience in the world. Not only does UT Austin strive to be the number one academic choice, it also works to make its programs a stellar financial choice by offering a variety of grants, scholarships, and loans to ensure that all qualified students can take advantage of its academic reputation and community. In fact, UT Austin has been ranked eighth in the nation in terms of its value, according to Kiplinger, based on academic quality, cost and financial-aid measures. UT Austin is accredited by the Commission on Colleges of the Southern Association of Colleges and Schools. Qualifying students can participate in one of seven honors programs: the Canfield Business Honors Program, Liberal Arts Honors, Engineering Honors, the Natural Sciences Honors, the Moody College Honors Program, the Texas Honors Computer Science and Business, and the Plan II Honors Program. The online courses for University of Texas undergraduate and graduate degrees are offered through the UT University Extension. Students may also take online courses offered at other universities within the UT System through the Online Consortium. According to U.S. News & World Report, the University of Texas at Austin has some of the nation’s best graduate school departments. 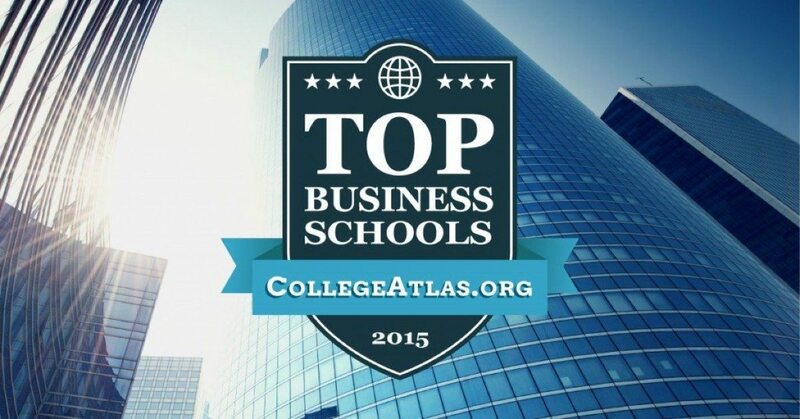 These include the School of Business (17th best in the nation), the School of Engineering (10th best in the nation), the College of Pharmacy (3rd best in the nation among pharmacy schools), the School of Public Affairs (9th best in the country among graduate level public affairs programs), the College of Education (10th best in the country), the School of Social Work (5th best in the na tion among social work graduate programs), the School of Biological Sciences (7th best among graduate level earth science programs), and the School of Law (15th best in the United States). Additionally, UT Austin’s business school has been ranked high in terms of the number of alumni who go on to become S&P 500 CEOs and Fortune 1000 CEOs. The University of Texas at Austin houses one of the largest university libraries, with its 17 libraries containing more than 10 million volumes. The UT Austin library is surpassed in academia only by Harvard University, Yale University, the University of Illinois at Urbana, and the University of California at Berkeley. While some of the libraries offer general information, others contain specialized volumes for students in those fields. These libraries include the Chemistry (Mallet) Library, Engineering (McKinney) Library, Marine Science Library, Physics Mathematics Astronomy (Kuehne) Library, Life Science Library, Geology (Walter) Library, Fine Arts Library, Architecture and Planning Library, and the Classics Library. The University of Texas at Austin offers a variety of need- and merit-based financial aid options including grants, scholarships, work-study programs, loans, fellowships, and teaching assistantships. Financial aid at UT Austin is offered through both public and private sources.  Grants, for example, can come from the federal or state government, or the university itself. Scholarships are offered from private sources and also from UT Austin departments and programs. In addition to public and private loans, UT Austin offers students who are enrolled for at least six class hours the ability to take out a short-term loan to cover tuition or for emergency cash. Work-study positions are available in a wide range of on-campus departments and could include being a museum guide, childcare worker, or research assistant. Some off-campus work is also approved for work-study, and the average hourly wage is $10.35. A variety of on-campus housing options are available at the University of Texas at Austin. Undergraduate and graduate students alike can easily find something to fit their needs. Fourteen traditional residence halls are on-campus and house more than 7,000 students. These residence halls are divided into three communities: Whitis Area, Jester Center, and Waller Creek. Each community has a different feel and each offers a variety of activities and events that residents can become involved in. Whitis Area has seven residence halls including Kinsolving Hall and Littlefield Hall, which are for females only. This northwest portion of campus also contains the three honors dorms: Andrews Hall, Blanton Hall, and Carothers Hall. Duren Hall and Whitis Court round out this campus community, which also offers a variety of dining options and two galleries. The Waller Creek community is located near the DKR-Texas Memorial Stadium. It contains the last remaining male-only residence hall (Creekside Hall) and has a variety of small dorms including Brackenridge Hall, Roberts Hall, and Prather Hall. San Jacinto Hall, located in Waller Creek, is one of the university’s largest dorms. Moore-Hill Hall is also located in the Waller Creek community. Residents in this area have easy access to a large gym center, dining options, and the stadium. The Jester Center community is made up of two residence halls: Jester West Hall and Jester East Hall. This community contains the university’s largest dining hall, study rooms, and lecture rooms. It is also located near the Perry-Castaneda Library and the Gregory Gym. Other than Creekside, Kinsolving, and Littlefield, all other dorms on campus are coed. Each residence hall contains study rooms, laundry areas, vending machines, and TV rooms. Cable TV and Internet access are available in each dorm room. Most rooms are double occupancy, although some single rooms are available, those are difficult for first-year students to obtain. Those students desiring on-campus housing who are unable to obtain it due to space constraints may be able to take advantage of the supplemental housing. In these cases, the university converts open spaces in the residence halls (like a common living area) into temporary housing. The rooms are larger than traditional dorms and typically house four students rather than two. Each supplemental room comes complete with all of the features of a typical dorm room. When a permanent space becomes available, students are offered the opportunity to move out of their supplemental space, however, many choose to remain in place. Graduate students, undergraduates in good standing with more than 30 credit hours and students with families may choose to live in one of three University Apartment complexes. Interested students are required to apply for space, and the apartments house approximately 700 students and their families. These apartments are located in West Austin, five miles from campus. Free transportation is available from the apartments to campus via shuttle bus. Because the number of students exceeds the availability of on-campus housing, most students must live in private apartments, with their sororities or fraternities, in private residence halls, in housing cooperatives, or in other off-campus locations. See the degree programs that are offered at The University of Texas at Austin. See the distance education degree programs that are offered at The University of Texas at Austin. See what it costs to enroll at The University of Texas at Austin and how many students are receiving scholarships, grants, or loans as financial aid to help cover the costs of tuition. 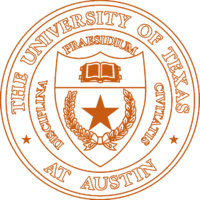 See the admission requirements for The University of Texas at Austin. Find out how many students apply and how many are accepted. View a graphical breakdown of the gender, age, and ethnicity of currently enrolled The University of Texas at Austin students.